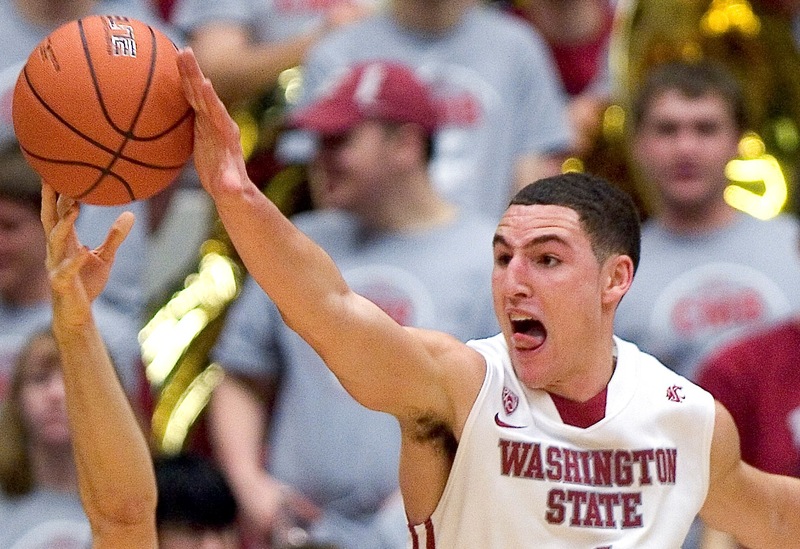 Fri., March 4, 2011, 9:46 a.m.
Washington State University’s star basketball player Klay Thompson, 21, was arrested late Thursday for marijuana possession. Coach Ken Bone said this morning in a statement that he is suspending Thompson for Saturday’s home game with UCLA, and will continue to gather information and evaluate the situation this weekend. The Cougars will open Pac-10 tournament play next Thursday in Los Angeles. Their opponent has yet to be determined. Thompson, a junior guard from Ladera Ranch, Calif., was pulled over for a headlight out at 11 p.m. Thursday on Harvey Road, just off the Greek Row area on College Hill. The Pullman Police Department officer reported smelling the odor of marijuana and that Thompson, the driver and sole occupant, denied having the drug. Based on the odor, the officer arrested Thompson and impounded his car, a GMC Envoy, until a search warrant could be obtained. During the search, officers found 1.95 grams of marijuana in the car, said police Commander Chris Tennant. The vehicle was returned to Thompson at 6 this morning. Thompson was issued a criminal citation for possession of marijuana, a misdemeanor, and released. He will be assigned a court date in about two weeks, Tennant said. Thompson was not booked into jail, he added. Earlier this season, Cougars Coach Ken Bone suspended point guard Reggie Moore after the player was cited by the Whitman County prosecutor’s office Jan. 4 for misdemeanor marijuana and drug paraphernalia charges stemming from a Dec. 11 search of his dorm room. Thompson scored 22 points in the team’s win over USC Thursday night. He is the son of former NBA player Mychal Thompson, who played with the Portland Trail Blazers and Los Angeles Lakers. Klay Thompson was named to the All Pacific 10 Conference first team following the 2009-10 after averaging 19.6 points per game for the Cougars. He was the second-highest scorer in the conference that season. He graduated from Santa Margarita High School and joined the Cougars for the 2008-09 season. Mychal Thompson was the first player chosen in the NBA draft by the Blazers in 1978 out of the University of Minnesota. Published: March 4, 2011, 9:46 a.m.